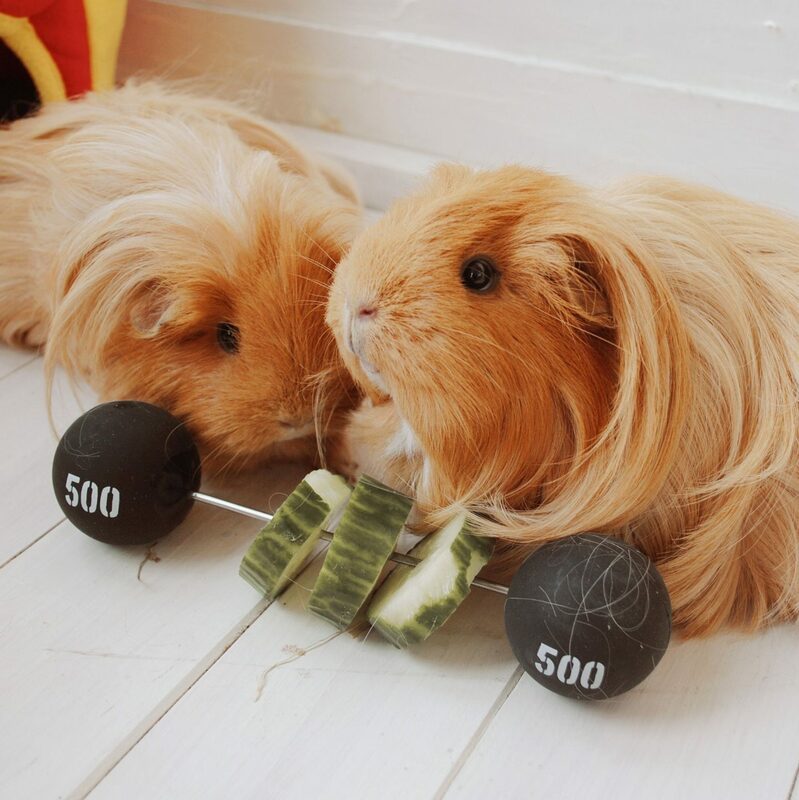 Those fluffy gals lived until 9 years old; pretty ancient in guinea pig years. 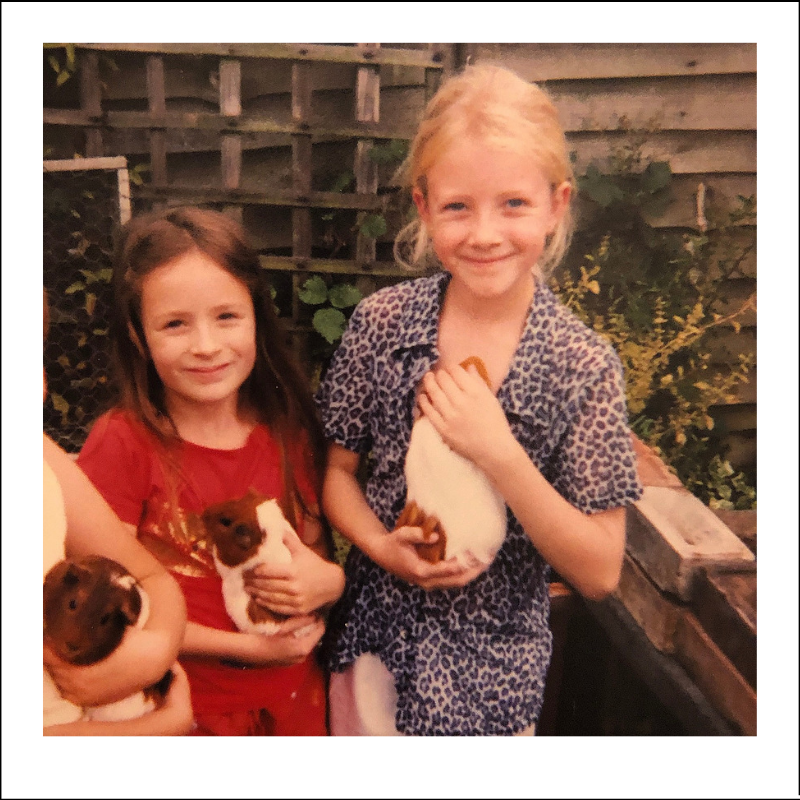 I have found them to be such gentle, inquisitive little creatures full of personality, and would totally recommend them as as family pet. 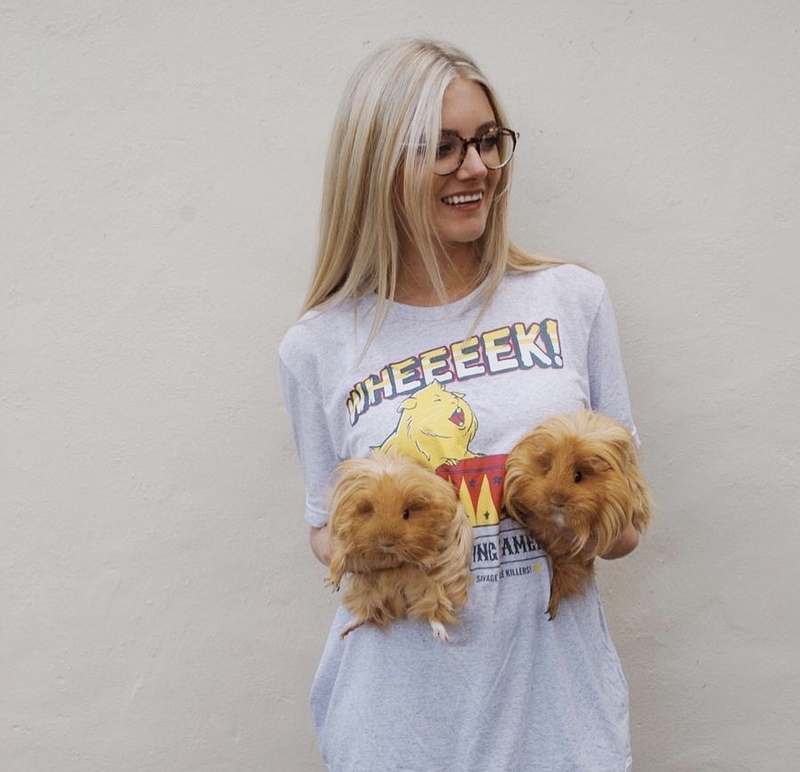 I first met Rik and his wife Helen at a blogger event back in November last year, and I could tell they were just as enthusiastic about guinea pigs as I was. 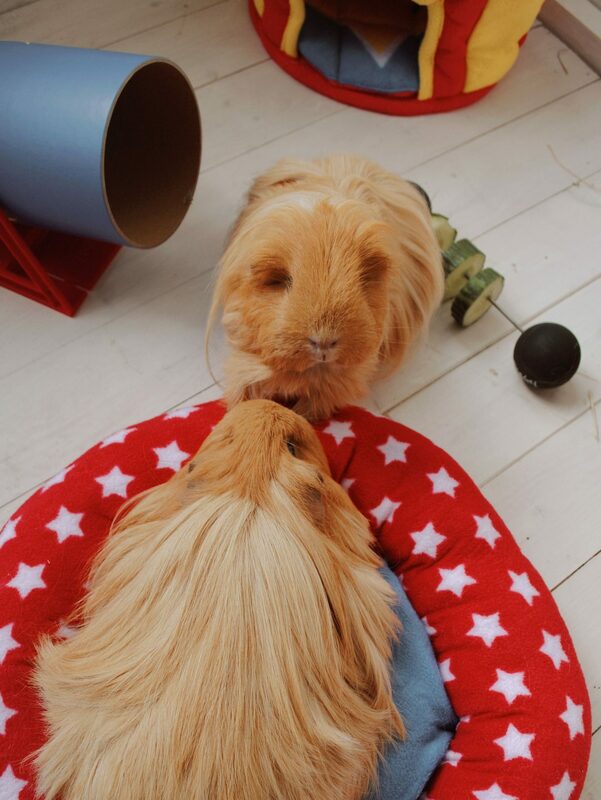 Having adopted their first pigs, Neptune and Nutmeg in 2014, they soon became aware of the distinct lack of good quality, engaging guinea pig toys in the market – so decided to make their own. 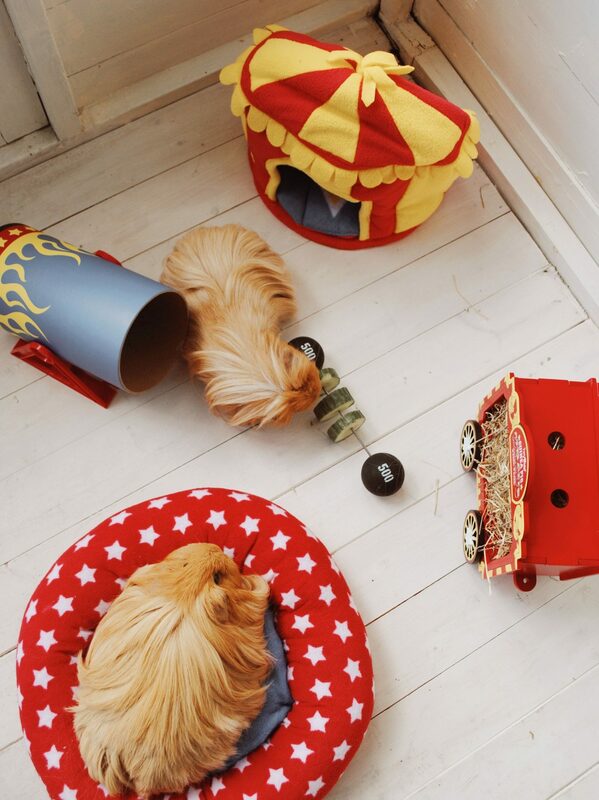 With a mission to ‘enhance and enrich the everyday lives of small furries and their humans’ they are certainly doing just that, as their circus range comprises of a variety of fun-filled products, from Cavy Cannonballs to Wheek Wagons! My girls absolutely loved exploring each and every one of the products. 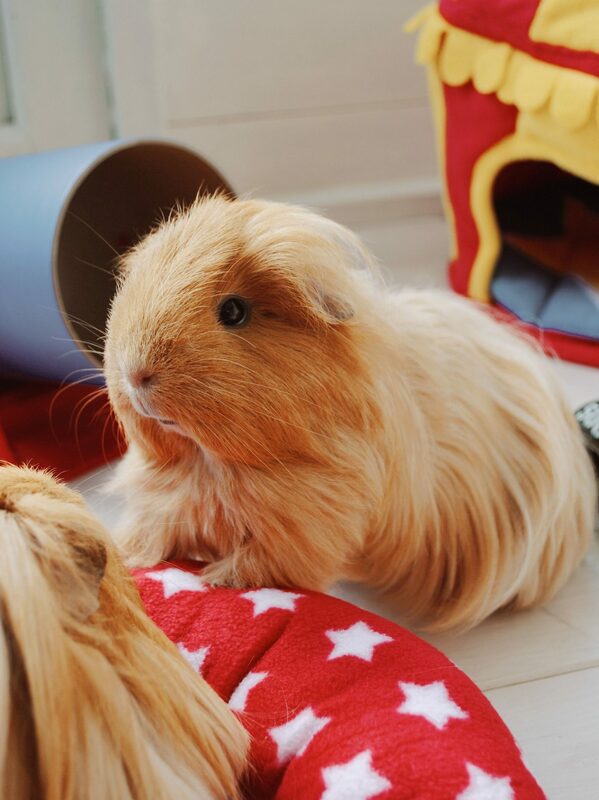 Luna plonked herself on the crash pad and sat contently purring – yes guinea pigs do purr! Sunbeam, the more confident of the two set about exploring straight away. 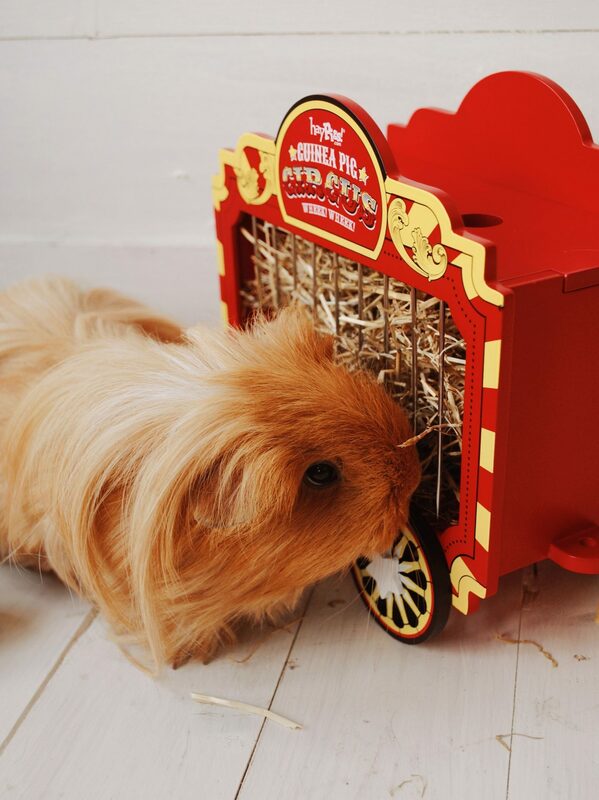 Quick stop by the Wheek Wagon, which is designed to encourage foraging behaviour. 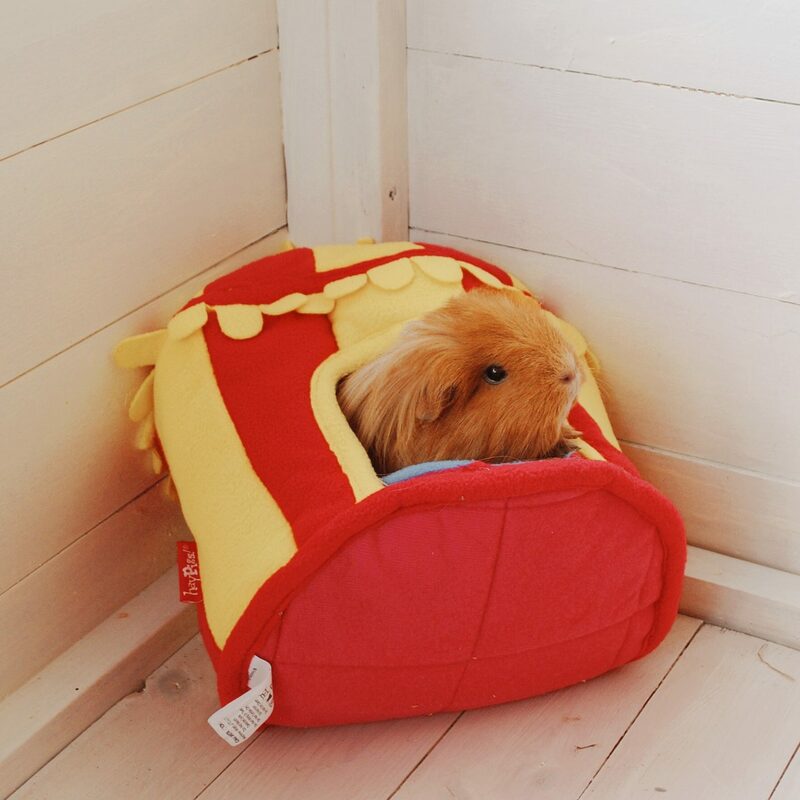 The girls loved this – though Luna got confused and tried to run head first into it which was hilarious. Don’t worry she didn’t hurt herself, but she loves running into the hay when we first clean them out, so I think she got confused! Poor old gal. 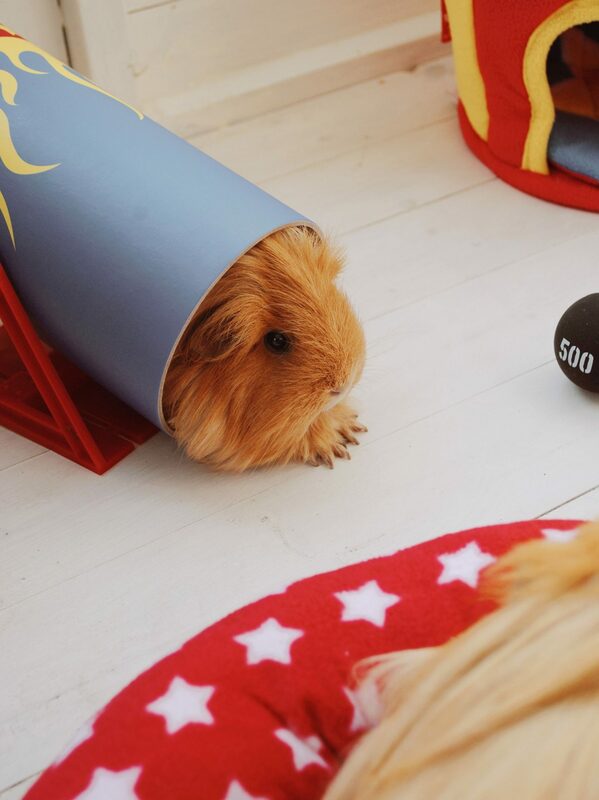 As a prey animal, guinea pigs are naturally nervous, so it takes time and patience to bring them out of their shell. 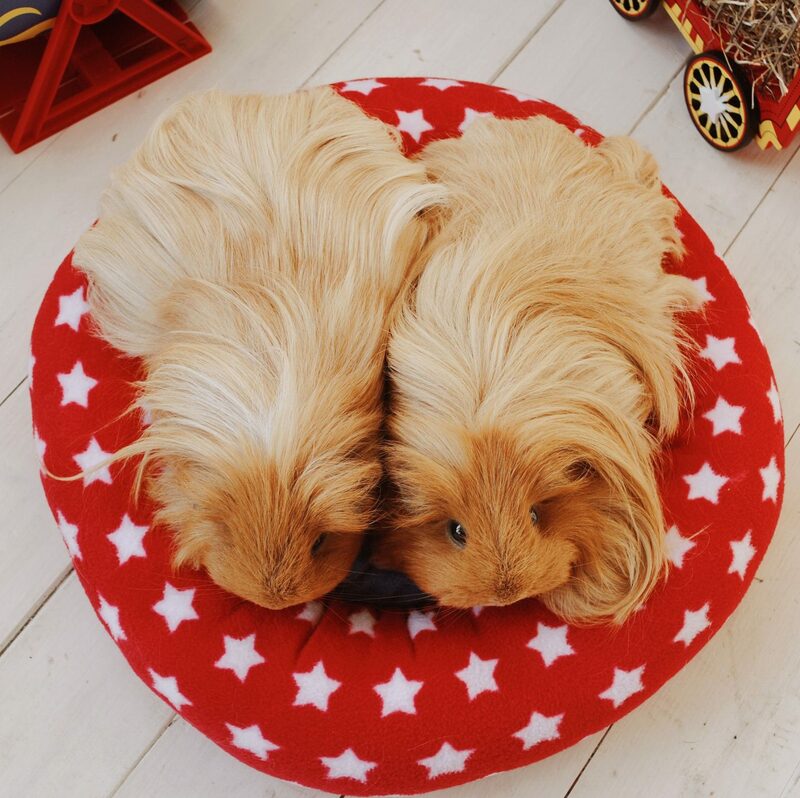 The crash pad is a perfect for snuggle time as it allows your guinea pig to relax on its soft surface, and they’ll be snoozing away in no time. Plus no more PEE-STAINED JEANS. 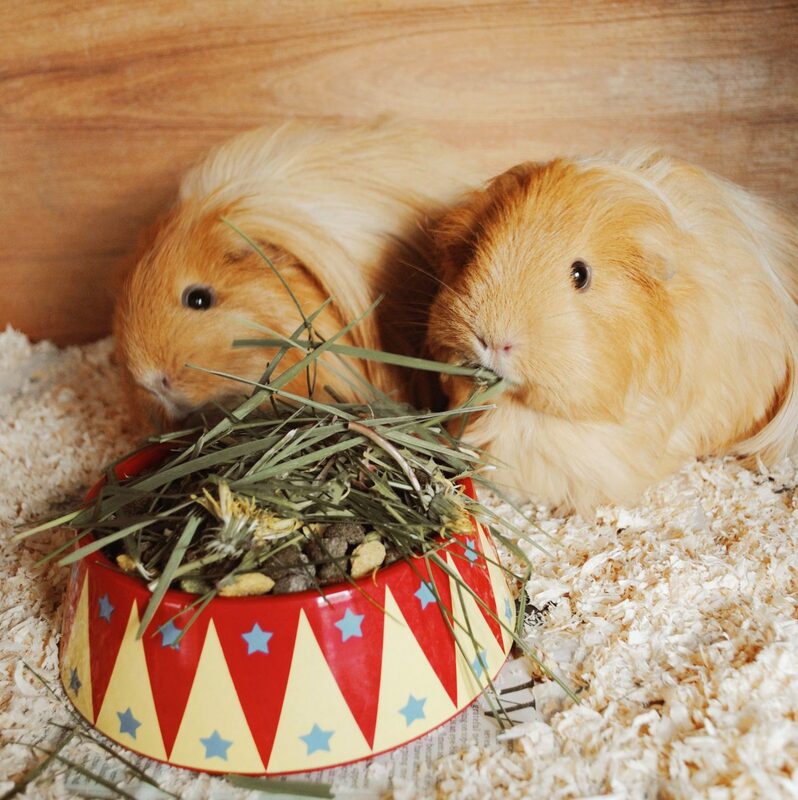 Exhausted piggies from their day at the circus – time to tuck into some grass and dandelions in their shiny new food bowl before bed! 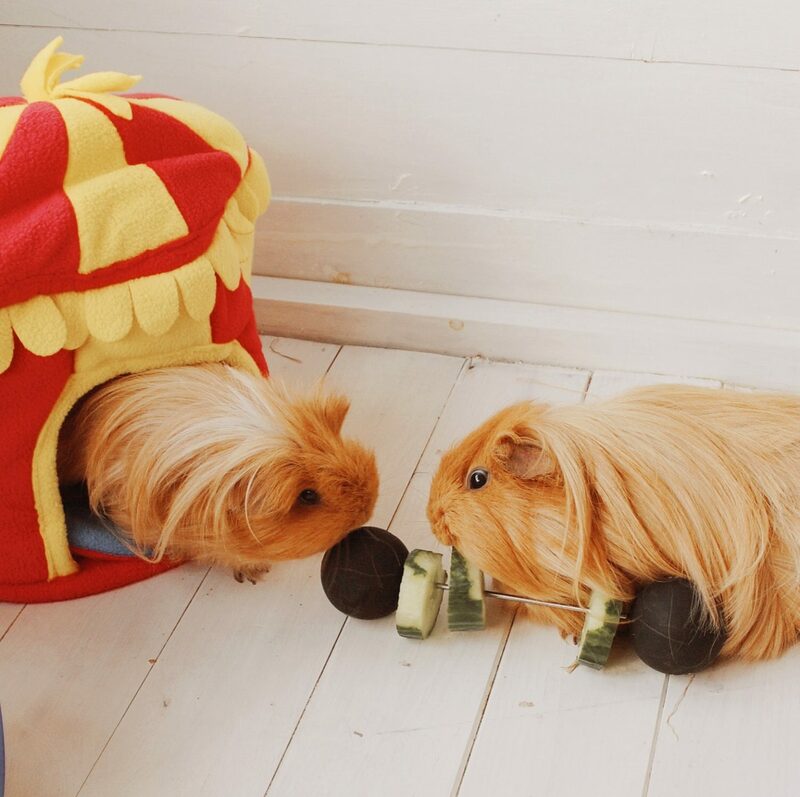 It’s safe to say Sunbeam and Luna were thrilled with their circus themed goodies. 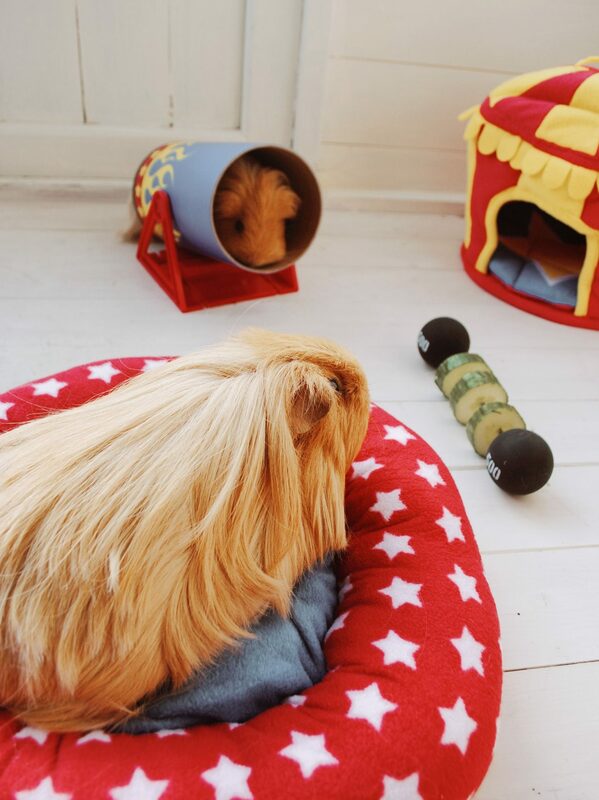 HayPigs! have really nailed the whole ‘making playtime fun’ thing, and you can tell that so much thought has gone into the range, from the creative elements behind them to the quality of the products and unique names! *HayPigs! kindly gifted me these products to review, but as always views are my own and I will blog about things I genuinely love – and I hope you’ll love too!